Dr Fortunate Machingura has worked as a Health Systems expert in and on Africa, as well as on global development issues and initiatives, for more than a decade. Her research interests revolve around Premature mortality, Sustainable Development Goals (SDGs), Social Determinants of health; Health Inequalities; HIV/AIDS; Key populations; Health Management Information Systems, and Participatory Action Research. She has consulted extensively including with the World Health Organisation, and independent technical organisations. She has extensive experience working on community centred participatory development, including actively liaising with Governments, NGOs and Universities in east and southern Africa. Through RTI International, Fortunate’s work in the Government of Zimbabwe’s Health Ministry is building ways to support health data dissemination and information use systems. 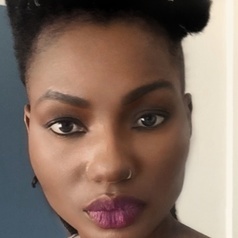 In her University of Manchester Post-Doctoral research, she is using participatory approaches to develop new tools that assist policy makers, development practitioners and donors, to understand dynamics of inequality among marginalised social groups living with HIV/AIDS – as part of a wider discourse to ‘leave-no-one- behind’ in the 2030 agenda for SDGs. She is working with the ODI, ECSA-HC, Zimbabwe MoH, and the Colleges of Health Sciences at the Universities of Zimbabwe and Kwazulu Natal in South Africa. She holds a PhD in Development Policy and Management from the Global Development Institute, University of Manchester. She is based in London, UK.